These delicious, juicy kebabs can be made with any minced meat you like, but we like lamb best. They are a terrific appetizer but also make a nice side dish to the main meal. Serve them with green mint-coriander chutney. This recipe will serve two people if served as a side dish and four people if served as an appetizer. 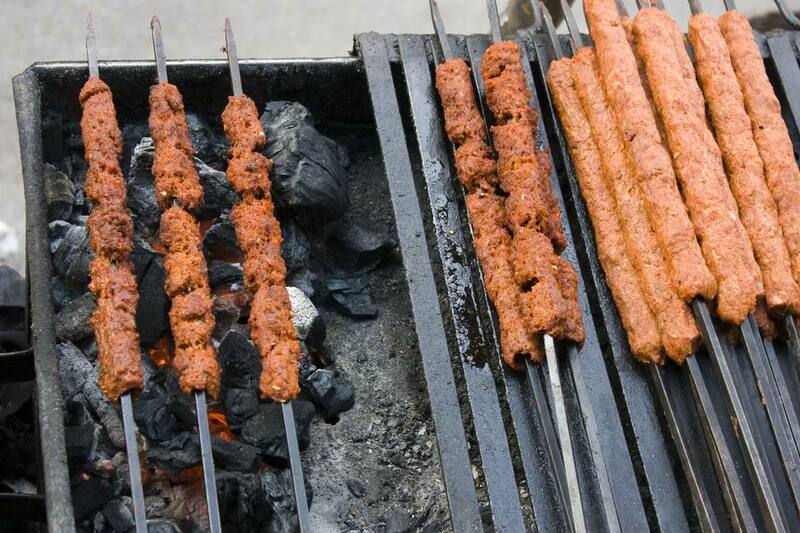 While seekh kabab is best made and eaten fresh, the raw mix can be prepared in advance and frozen. When you are ready to eat just thaw to room temperature and prepare as per recipe below. Use your hands or a wooden paddle to mix the ingredients thoroughly till they are well blended. Cover the bowl with cling film and put into the refrigerator for 1 hour. Soak bamboo skewers in water to prep for the kebabs. Remove from fridge and divide the mix into equal portions. Take each portion and form it into a long sausage-like kebab while pressing on to a skewer. Do this till the mix has firmly adhered to the skewer. Put some oil on your hands to prevent meat from sticking to them. Do this till all the kebab mix is used up. Grill the kebabs; grilling on a coal fire gives them a lovely smokey flavor. Baste with cooking oil as required, till the meat is done. Turn as often as required. Serve piping hot on a bed of onion rings, with mint-coriander chutney!